I started writing Performance Poetry after moving to Edinburgh in August 2012. I took part in the Literature Society poetry slam in my Freshers Week, and never looked back! 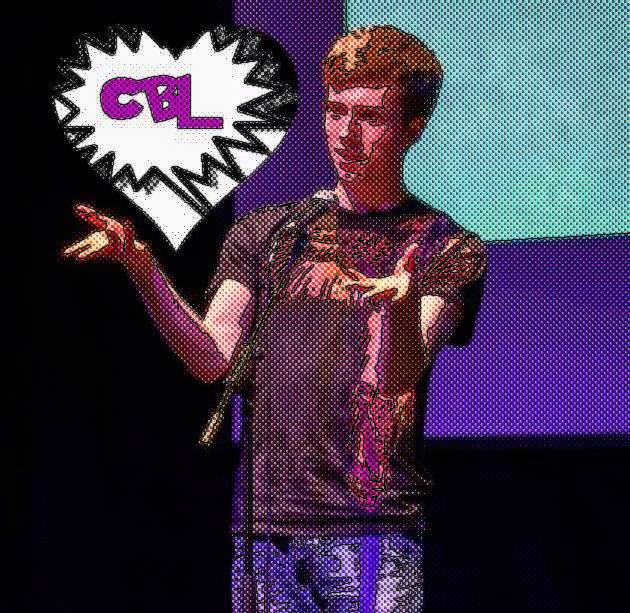 I currently help run the Soapbox Open Mic and the Inky Fingers Spoken Word collective, I wrote Comic Book Love (I usually refer to it in shorthand as CBL) in Spring 2013, and it marked a real turn in my writing style. I see performance poetry as something that can constantly change: from writing; to performing; to performing again and again. I am hugely interested in performance poetry as a medium. I think the experience of live poetry has an exhilarating effect that is hard to replicate, and I am very excited by the resurgence of interest in live readings and poetry slams that seems to be occurring across Scotland. I have an interest in exploring the intersections of storytelling and poetry, and how issues of identity are tackled through a direct identification with the poetic “I”. Freddie Alexander is an English Literature student at the University of Edinburgh. He doesn’t only win poetry slams but helps organize them too, including the 2014 National University Poetry Slam. He lives with 3 other poets, but doesn’t do any poetry with them. Mostly they just play Xbox or watch HBO. Freddie is working his way through Robert Dimery’s ‘1001 Albums to listen to before you die’ from 1955 – 2014. He’s currently in 1981. I read this article and found it very interesting, thought it might be something for you. The article is called Comic Book Love – #poetscorner and is located at http://prancingthroughlife.com/2014/10/22/comic-book-love-poetscorner/.